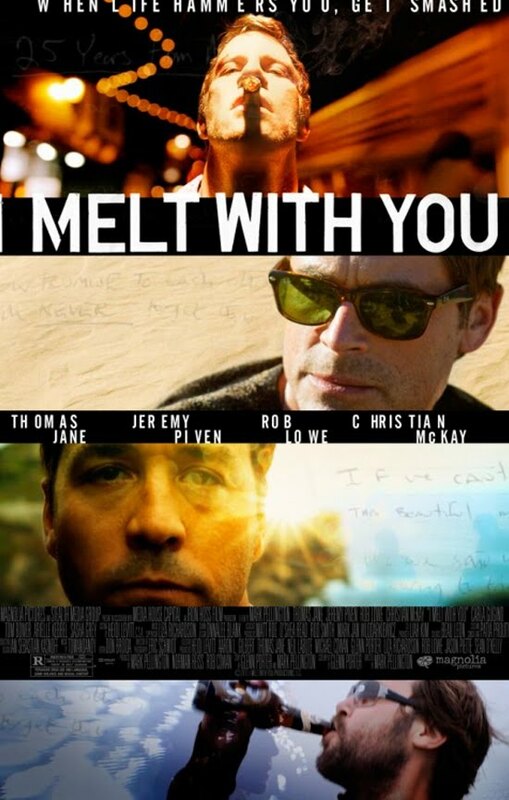 Official Synopsis: Richard (Thomas Jane), Ron (Jeremy Piven), Jonathan (Rob Lowe) and Tim (Christian McKay) are old college friends that gather annually for a week in Big Sur to celebrate their friendship and catch-up on each other’s lives. They seem like typical men in their forties – all with careers, families, and enormous responsibilities – but like most people there is a lot more beneath the surface. As the week progresses, they go down the rabbit hole of excess as mountains of drugs are consumed to a blaring rock ‘n’ roll soundtrack. Parties with much younger women spin out of control. Exhausted and run ragged, they bare their souls to one another revealing the disillusionment with their lives. As the truth emerges, the reunion takes a much darker turn when a promise from their past is brought to light. From director Mark Pellington, I MELT WITH YOU is a visually dazzling, wild and wooly trip deep into the male psyche, driven by four amazingly committed and profound performances. Rated R for pervasive drug use and language, some violence and sexual content.